The Dark Zone was something special back when the first game originally released, and it very much remains a unique feature of The Division 2. 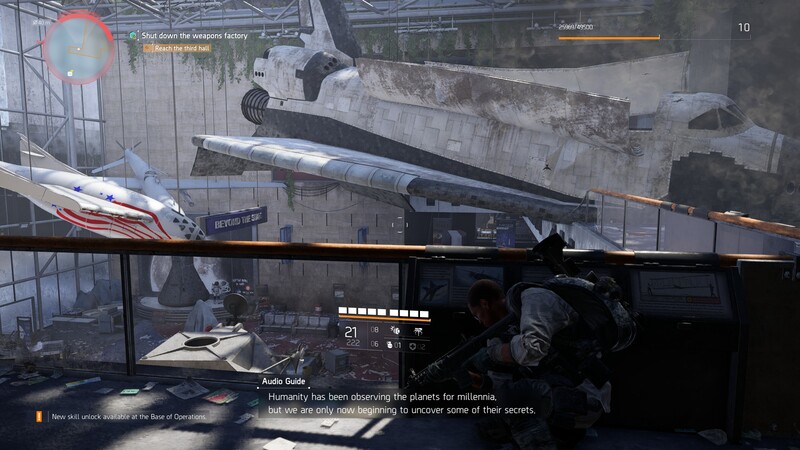 In this The Division 2 Dark Zone guide, we'll be explaining everything there is to know about the chaotic zones in the sequel, as well as detailing how to unlock Dark Zones in The Division 2, so you can access them as soon as possible. If you need help with any additional areas of Ubisoft's sequel, you can head over to our Division 2 tips page. Here you can find a breakdown of all the essential information that every Division Agent in Washington D.C. should know. 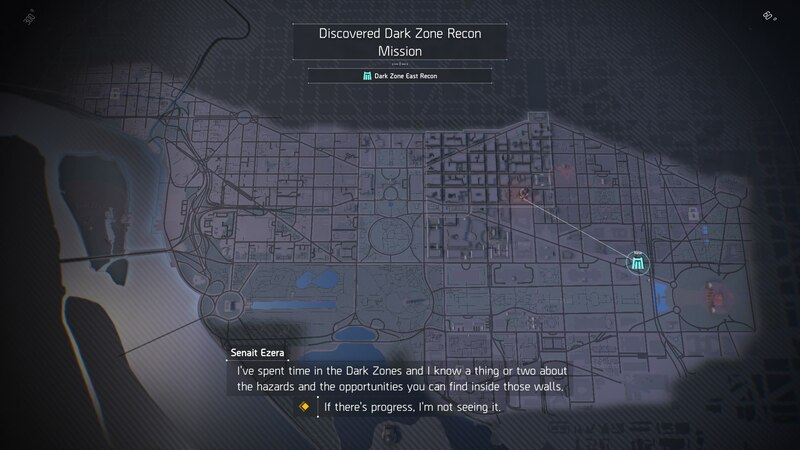 Dark Zones are specific areas in The Division 2, which are somehow in an even worse state than the rest of Washington D.C. It's basically where all the crazies and extremely powerful enemies live, so go in there prepared. When you first enter a Dark Zone, you'll be automatically matched with people around your own player level. There are three brackets for matchmaking: 1-10, 11-20, and 21-30, and the current level of your character is where you'll be placed into one of the three matchmaking brackets. Think of the Dark Zones as the PvPvE areas of The Division 2. 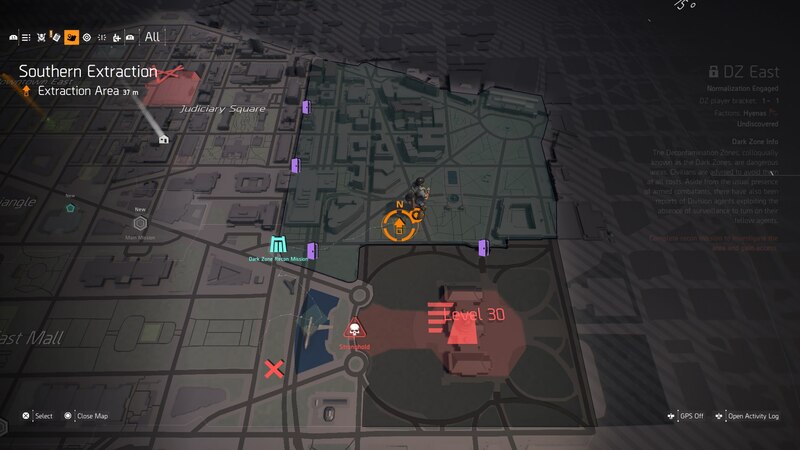 You can encounter and kill other player Agents within these zones, which is unique to the Dark Zones, but there are also NPC enemies that will be constantly gunning for you while you're in the zone. With this unpredictable nature of the Dark Zones in The Division 2, we don't blame you for wanting to venture in there as soon as possible. 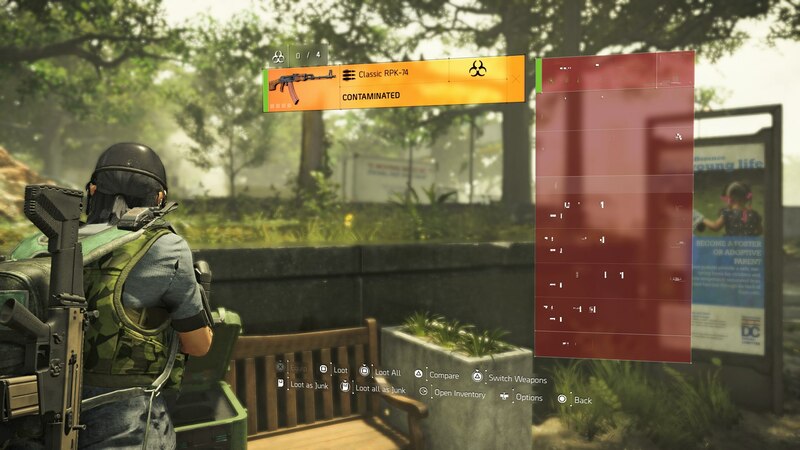 To begin accessing the Dark Zones in The Division 2, you first need to raise the overall level of your character to 10. Secondly, you then need to raise the level of the Theatre Settlement to level 3. To raise the level of this settlement in particular, you're going to want to disrupt as many Public Executions as possible. 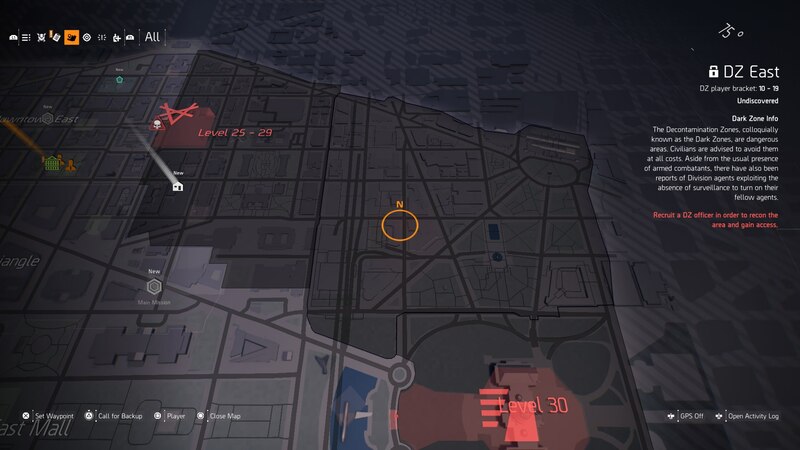 These events occur at random around the map of The Division 2, but if you can't see any on your map screen, you'll want to go check out any of the white question marks on your screen, because any one of them could be a Public Execution that you'll need to disrupt. Once the level of the Theatre Settlement has been raised to level 3, a unique Dark Zone Agent will appear in your game. You'll immediately meet them, and recruit them to your home base in the White House. Go back to the Base of Operations in the White House, seek out the Dark Zone Agent, and she will unlock the Dark Zone East for you. You're now free to venture into your first Dark Zone expedition in The Division 2. Occasionally while you're playing The Division 2 and you're in a Dark Zone, you'll come across a piece of gear that's been contaminated. Unlike the original game, not every single gear item you find in the Dark Zone will be contaminated, and while you can simply bring the regular gear you recover back out with you into the rest of the game from a Dark Zone, it doesn't work like this for contaminated gear. Typically, powerful gear items that you recover in Dark Zones are contaminated. So for example, if you come across a Superior or High-End gear item while exploring a Dark Zone, chances are that it's going to be contaminated. As we mentioned above, you can't just exit Dark Zones while carrying contaminated gear, or it won't come with you. Instead, you'll have to extract it. Extractions were a massive part of the way Dark Zones worked in the original, and they function in the same capacity in the sequel. To extract a piece of contaminated gear, you first need to identify an extraction point on the map of your current Dark Zone area, of which there will be several for you to choose from. Next, head over to the extraction spot that you've chosen. At the extraction point, you'll have to signal for a chopper pickup by firing off your flare gun. Once this has been done, a countdown timer will start until the extraction if successfully carried out, and this is where things can turn into a bloodbath. From the moment that you signal for an extraction chopper, you'll be swarmed by NPC soldiers and other enemies, all of which want to take you down before your gear can be extracted. On top of this, other Agents within the Dark Zone will also be able to see that an extraction is being carried out on their map screen, so if they're feeling plucky, they can try to kill you and steal your contaminated gear items for their own. Effectively, you need to survive until the countdown timer hits zero. The basic rule for extraction is find a good defence point once you've fired off the flare gun. Ideally put your back against a wall, use your turret and other skill items like the drone, and hope that you survive until the timer hits zero. Rogue - Think of the basic level of going Rogue as petty theft. You either need to break into chests, steal other players' gear while they're trying to extract it out of the Dark Zone, or you can simply toggle the option within the menu system to set your status to Rogue. Disavowed Rogue - To attain the higher status of a Disavowed Rogue Agent within the Dark Zone, you need to find and kill any other player Agent character within a Dark Zone. Manhunt Rogue - Basically an extreme version of the Disavowed Rogue status, you can attain Manhunt Rogue status by repeatedly killing other Division 2 Agents within a single session in a Dark Zone. 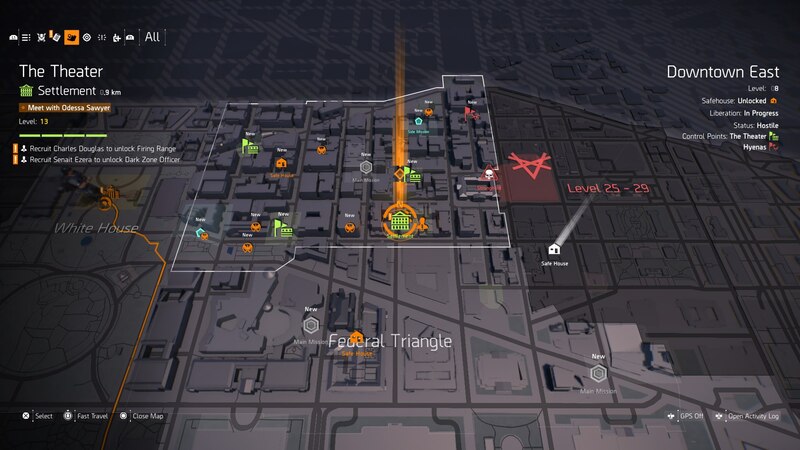 Note that at this level, all other Agents within your Dark Zone will be given your location, and will be rewarded with XP and Credit gains if they take you out. If you ever attain any of the three Rogue status' listed above by accident while exploring a Dark Zone in The Division 2, you can actually clear your status fairly easily. In every single Dark Zone in the game, there are three terminal that are clearly marked on your map at all times. You need to make it to any one of these terminals within a Dark Zone, and interact with it. Then, you can choose to reset your status, immediately resetting you back to just a standard Division Agent from when you first entered that Dark Zone. It's a really easy way to reset your character after you've been up to no good. So that everyone in The Dark Zone portions of The Division 2 are on a fair playing field, a normalized rating is acertained for your gear. This essentially means that regardless of level, players will have a chance of taking eachother out. To check the normalized stats of your gear, head to the character menu and hold L3/LS. You'll be assigned a separate level for your Dark Zone exploits. It will start off at one, and you can increase it by carrying out activities in The Dark Zone. For every five levels, players will have access to new Dark Zone perks, which can be equipped at the White House. To increase your Dark Zone level, kill other players, extract gear, and complete landmarks. For those who want to go rogue, there's an incentive. The Thieves' Den opens up after players complete a selection of Rogue actions. This means hacking SHD networks, and finding Chests. This will help triangulate the location of the Thieves' Den, which is home to an exclusive merchant. Tagged with Action,	Guides,	PC,	PlayStation 4,	Shooters,	Ubisoft,	Xbox One.